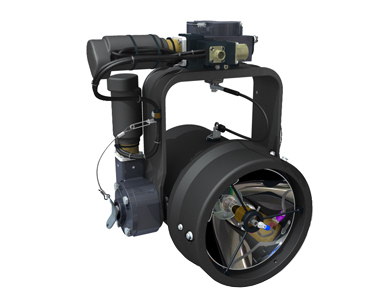 Spectrolab is proud introduce a new revolutionary search landing light. The SLL 46-200 is a State of Art MIL-SPEC search landing light design using the latest native LED technologies for intense light output in both visible and infrared lighting spectrums. A finned heat sink design allows for optimal performance of the high intensity LED lamp module. Control capabilities are a departure from the standard norm with an innovative dual digital servo and gear design for quick and smooth slewing in azimuth and elevation, with position feedback capability. The innovative gear design also enables the lamp to be deployed and operated within full range of motion at an unmatched air speed of 200 KNOTS. 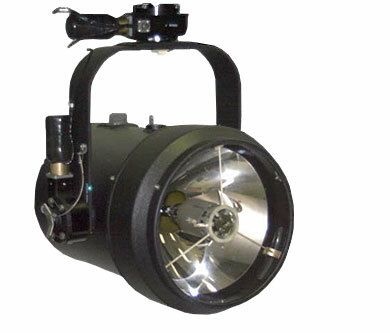 The base design lends itself as a drop-in replacement and alternative to most Par 46 deployable landing light cavities. The robust design also enabled it to successfully pass rigorous MIL-STD 810 testing, including but not limited to Vibration, Temperature, Shock, Humidity, Rain, Salt Fog, Icing, and Acceleration. Other testing includes qualification testing under MIL-STD 704 and 461 for Power Quality and EMI. Our latest commercial and new flagship model, the Nightsun® XPM IR LED, is a fully MIL-SPEC Qualified 1600 Watt Searchlight – with tremendous capabilities in both visible and IR spectrums. The system leverages the aerodynamic and rigid design of the legacy XP model one step further by employing additive-manufactured structures for improved performance and stability. The Nightsun® XPM uses ultra-high speed motors for precise maneuverability and position feedback with increased control functionality and integration with popular mission system and camera sensor linking capabilities. Additionally, the Nightsun® XPM offers an optional MIL-SPEC Console Control Panel configuration for cockpit integration. All major system components have undergone rigorous MIL-STD 810 testing, including but not limited to Vibration, Temperature, Shock, Contamination by Fluids, Explosive Atmoshphere, Humidity, Rain, Salt Fog, Icing, and Acceleration. 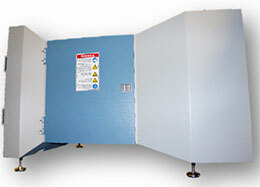 Other testing includes qualification testing under MIL-STD 704 and 461 for Power Quality and EMI. The investment in design for a MIL-SPEC environment, along with the resulting rigorous qualification program has created new and unsurpassed capability for customer missions. The Nightsun® XPM has launched aboard the Boeing Chinook aircraft, which is another testament to the robust design and capability. Spectrolab's flagship Searchlight model introduces new Infrared (IR) LED technology into a sleek aerodynamic package. The new IR LED Ring offers infrared illumination for use with Night Vision Goggles (NVG's). A ring of high power IR LED's offer wide or narrow focus modes while reducing power consumption by 79% and weight by 20% (compared to our original IFCO filter configuration). 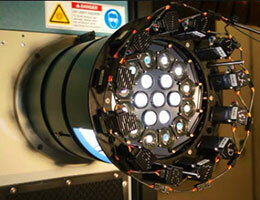 Visible white light remains intense with the use of the legacy 1600 Watt Xenon Arc Lamp. This combination of technologies provides the operator with the best airborne searchlight in both visible white light and invisible infrared operating environments. Spectrolab's flagship Searchlight model introduces new technology into a more aerodynamic package. The XP makes use of software to adjust slew rate, keep-out zones, stow position as well as cage position and for linking to some of the most widely used camera systems. This new technology is combined with the characteristics that have made the SX-16 Nightsun® famous the world over. 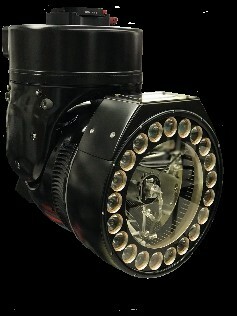 The Enhanced version of our In Flight Change Over (IFCO) Searchlight provides upgrades to the Cooling Blower, Focus mechanism, Hour-meter for lamp ON life, a new Reflector coating that garners a 20% increase in candlepower (when not using the IFCO Hood) and also a Lamp OFF Switch on the Control Box. The Cooling Blower is a brushless unit with a 10,000 hour recommended service life. The Focus mechanism is now bi-directional in nature and the operator can cycle from wide to narrow focus, or vice versa, and stop anywhere in between to reverse direction. The lamp ON Hour-meter will allow for more exact lamp life metrics. The new Reflector has effectively increased the candlepower of the Searchlight to a nominal 50 Million Candlepower when not using the IFCO Hood. The lamp OFF Switch eliminates the need for the entire system to be powered down when turning off the lamp. These enhancements are available on new units but can also be applied to older units through an upgrade procedure so that current users of the SX-16 Nightsun® can continue to use their existing systems. The Enhanced version of our benchmark Searchlight provides upgrades to the Cooling Blower, Focus mechanism, Hour-meter for lamp ON life, a new Reflector coating that garners a 20% increase in candlepower and also a Lamp OFF Switch on the Control Box. The Cooling Blower is a brushless unit with a 10,000 hour recommended service life. The Focus mechanism is now bi-directional in nature and the operator can cycle from wide to narrow focus, or vice versa, and stop anywhere in between to reverse direction. The lamp ON Hour-meter will allow for more exact lamp life metrics. 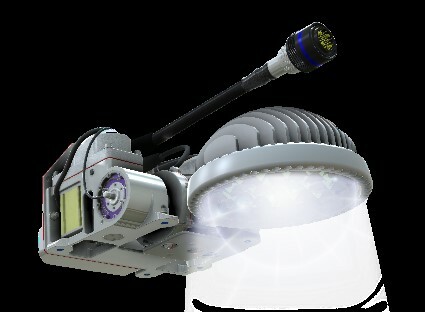 The new Reflector has effectively increased the candlepower of the Searchlight to a nominal 50 Million Candlepower. The lamp OFF Switch eliminates the need for the entire system to be powered down when turning off the lamp. These enhancements are available on new units but can also be applied to older units through an upgrade procedure so that current users of the SX-16 Nightsun® can continue to use their existing systems. 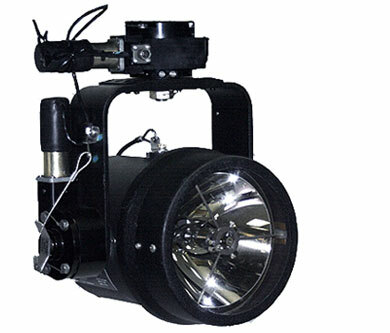 The SX-16 is designed with the intent of providing a mobile, high-intensity light source for a variety of applications. It has been used on over 30 different airframes over the course of its lifetime. Thanks to our valued customers, the SX-16 enjoys the distinction of being chosen as the number one helicopter Searchlight for law enforcement entities, border patrol agencies, Emergency Medical Services (EMS) and several other public service organizations. The SX-16 Nightsun® is the benchmark for high-intensity Searchlights the world over due to its capacity to provide a powerful light source wherever it is needed and doing so under some of the worst environmental scenarios imaginable. Spectrolab is pleased to introduce the new SX-7 Starsun Searchlight System. This new model has been developed based on the SX-5 Starburst footprint, while capturing the enhanced features and performance characteristics of the SX-16 Nightsun®. 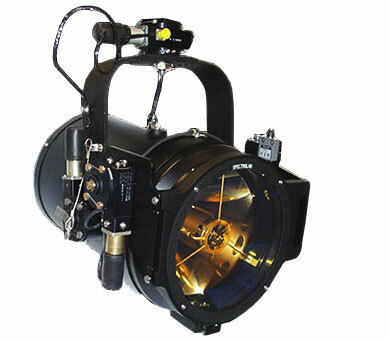 This new addition to the SX Series of high intensity searchlights, maintains compatibility on a variety of aircraft, while greatly increasing the performance for the upward trend of multi-mission role aircraft in the industry. Our SX-5 Starburst encompasses the same versatility and capacity as the SX-16, but does so in a smaller package that is ideal for applications wherein weight is a factor. 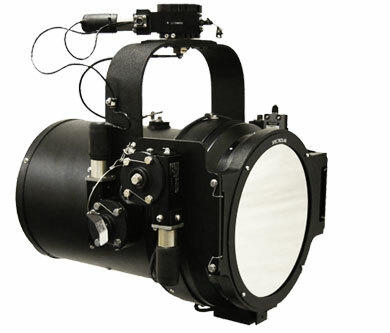 The smaller dimension envelope also makes this the ideal Searchlight for use in low-slung applications where the ground clearance is not ideal for the larger Searchlight. Thanks to our valued customers, the SX-5 enjoys the distinction of being the number one helicopter Searchlight for a variety of Emergency Medical Services (EMS) applications. 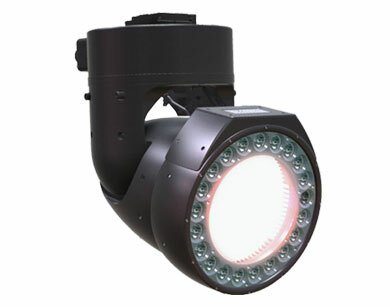 SpectroLink is an integrated searchlight to camera digital linking system. 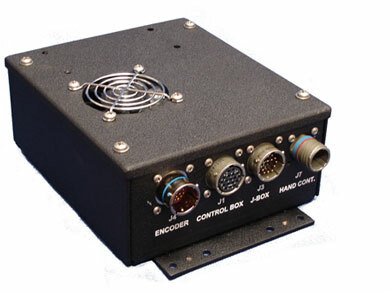 SpectroLink uses digital encoders for precise positioning of the searchlight to a linked thermal imager or video camera system. This eliminates the need for after-market modifications to any searchlight components and does not depend on analog signals that can drift with time and temperature. 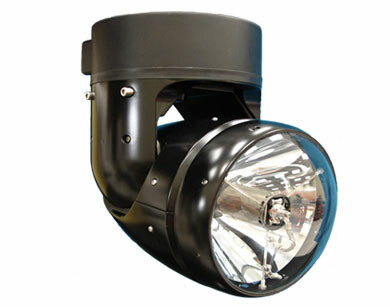 SpectroLink is available for new and existing SX-5 Starburst and SX-16 Nightsun® searchlight systems. Spectrolab manufactures world standard steady-state and pulse solar simulators that simulate the sun's light in a variety of conditions, such as those at sea level or in outer space. Steady state solar simulators are generally used in laboratory or production environments for precision testing and/or calibration of photovoltaic devices. Pulse simulators make it possible to test large solar panels at a fraction of the cost of steady state solar simulators.